YES, everyone loves chocolate! Now, unless you’re running a luxury hotel, there’s really nothing much that differentiates you from your competitors. The mid-range hotel industry is a tough battleground to be in and given all things equal, it’s the little things that will dictate whether you’ll survive or die from the war. Elevating your hotel’s guest experience is important in terms of developing repeat guests. According to statistics, the marketing cost involved in acquiring new hotel guests is five to eight times more expensive than retaining your existing ones. 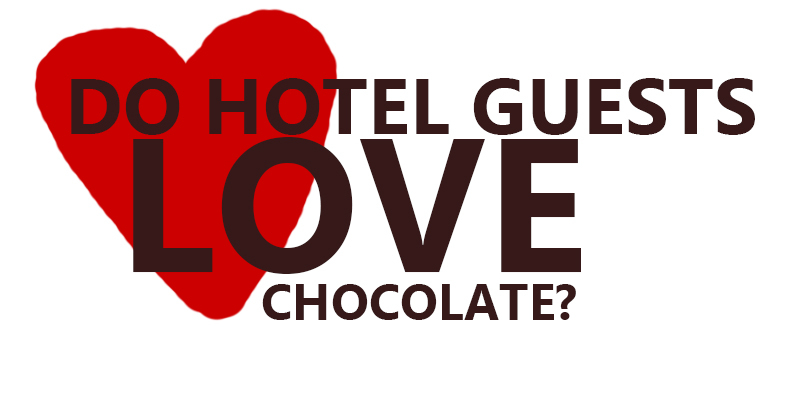 Further, 68% of hotel guests say that they won’t return to a hotel if they feel unappreciated. At SmartGuests.com, we believe that every customer deserves a VIP treatment. However, this does not mean that you should spend thousands of dollars in marketing and merchandising. 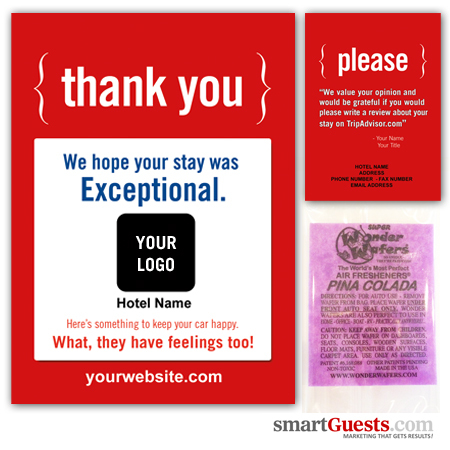 We created two products that will help you give your customers a more memorable stay and help you leave a lasting impression on them — Custom Candy Wrappers and Care Fresheners. 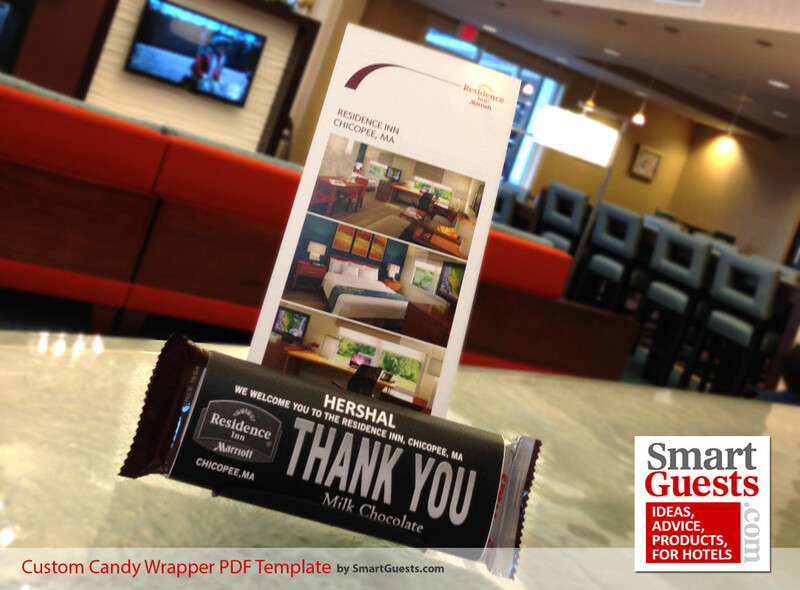 Print customized wrappers on your hotel’s laser printer. 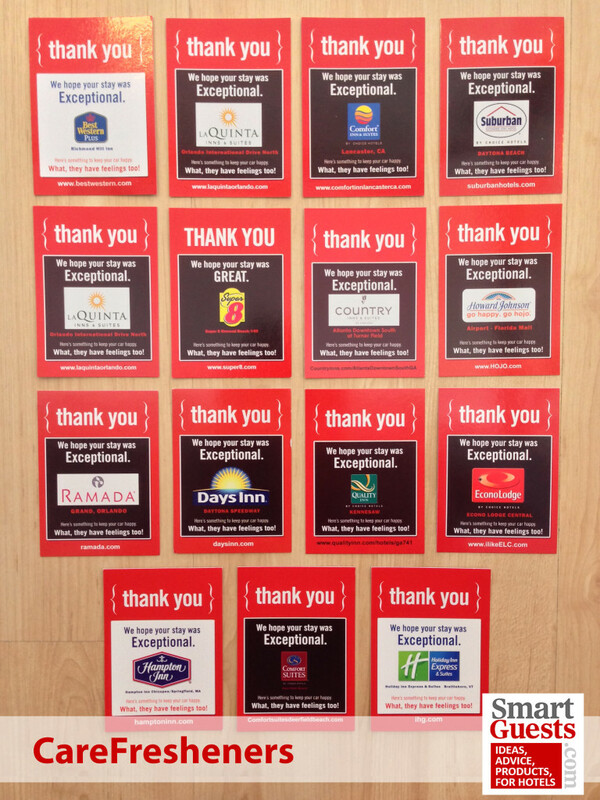 The back shows hotel rewards program and directs guests to post a review on TripAdvisor. When customers book a room in a mid-range hotel, they’re not really expecting anything extravagant when they enter their room apart from the basics. Not everyone is The Four Seasons and your guests knows this. This is why even the a small gesture can make a positive impression. This is exactly what our Custom Candy Wrapper is — an inexpensive merchandising tactic, but very effective. You can customize the design so you can incorporate your hotel’s branding visuals (i.e. logo) as well as put your guest’s name on it. It fits a standard-sized Hershey’s bar so you can easily implement it. Our CareFresheners is a great way to bid adieu to your guests and a great way to constantly remind them of their stay at your hotel. Imagine, every time they enter their car, they catch a waff of scent that will trigger their memory of the great time they had at your hotel. It’s fully customizable and it also has a short blurb reminding them to post a review about you online. Hitting two birds with one stone. When it comes to making your guest feel special, no gesture is too small.